The ultimate in comfort and style…. The Chemical Guys Flexfit Hat. Size: Large-Extra Large L/XL 7 1/8" - 7 5/8"
The Highest quality Coolest hat, what else would you expect from Chemical Guys? 6 panel, mid-profile, fitted cap. Fused hard buckram. 3 1/2" crown, 8 rows of stitching on a Permacurv® visor, silver undervisor. Taped seams. Fits a wide variety of head sizes very comfortably. Protected with Chemical Guys Fabric Guard for superior stain repellency and water protection. When the Chemical Guys Team decided we wanted a hat we didn’t go to just anyone. Chemical Guys stands for superior quality, superior talent, unmatched standards, and the greatest product line. 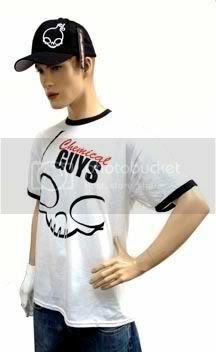 So we wanted our Chemical Guys hat to stand out from any other hat. All Chemical Guys Hats are 100% Authentic Flexfit Hats. For superior unmatched comfort, durability, color fastness, and just flat out the coolest looking hat the Chemical Guys Flexfit hat is awesome. The Chemical Guys Embroidered hat comes with the Chemical Guys CG trademark logo on the front in premium raised embroidering. 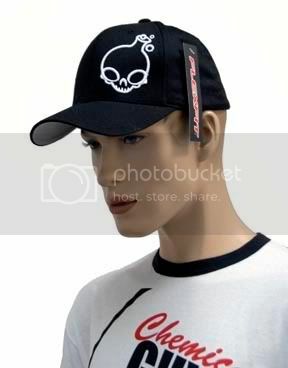 The back of the hat has the Chemical Guys signature mark. Chemical Guys Cares about the environment from waterless wash systems to our citrus based earth friendlier products we have taken a stance in making better products for everyone, our ht is no exception. Chemical Guys Hats are durable, well built hats that can we washed and warn for years to come. All of the materials used by Flexfit are carefully selected and monitored to ensure they aren't harming our planet. We look to tough European standards as our benchmark, as well as companies whose environmental policies we admire. So you can rest assured Chemical Guys and Flexfit Hats stand for both quality and environmentally friendly business practices.